Click the button below to add the Hair Loss Therapy Conditioner #Hair Loss Conditioner - Men's Hair# to your wish list. Why stop with our hair therapy shampoo? If you use conditioner, why not continue with our hair therapy conditioner? This picks up after the hair therapy shampoo and continues to deliver loving goodness to every strand of hair, your scalp, and roots. If you are experiencing hair fall or thinning, consider adding this conditioner to your routine. Hair that is not properly hydrated and moisturized is more susceptible to breakage and fall. Crafted with so many goodies like Hydrolyzed Jojoba Protein that has excellent hydrating and repair abilities, plus adds vibrancy while providing a protective barrier. Great for all hair types. Color safe and sulfate free. I love this conditioner. I have been going gray, and my hair dry and coarse. My hair was thinning, and it scared me. I have been using this with the hair therapy loss shampoo and occasional the vinegar rinse they offer for several months and can tell the difference in my hair. I have seen less hair in my hairbrush and even some new sprouts coming in! I have a nice improvement with my hair, and I feel so much better. Nourishes hair without leaving any residue or build up. Formulated with herbal extracts and essentials for voluminous looking hair. Adds nutrients and protein for more vibrant looking hair. Sulfate free, paraben free, color free and no artificial fragrances. I have been using the just nutritive conditioner and shampoo therapy for almost a year now, and they are wonderful. The shampoo lathers well and smells really good, and the conditioner is just right for my hair. I wanted to find products that were “clean” and these are made with natural ingredients that I think are important. There has been a considerable reduction in hair fall, and it looks thicker and healthier. I will be a faithful user of these. Ok, I like this a lot. I've been using it for almost three months, and my hair shedding has noticeably decreased. In the shower, I've been leaving less than half of what I was. I'm am so pleased that this is made with non-harmful ingredients and believe that it will end up producing good results with my thinning hair issue. My scalp feels a lot healthier and doesn't get itchy like it used to. I believe that this will continue and my scalp will improve. There is simply not another hair conditioner out there that is even close to the quality of this. I get compliments all the time on my hair. It has more body and most importantly it's not falling out as much. I can see a difference, and I love that it has natural ingredients without those nasty parabens or other things. I think it is worth the price and goes a long way. It has made my hair feel thicker and fuller and seems to be creating growth. Safe for all hair types and color treated hair. Ingredients found in nature promote silky smooth, soft hair with stunning full body and incredible shine. Makes hair more manageable and easier to comb. Hair becomes thick and voluminous. Aloe Vera assists as it moisturizes hair, making it shiny and promoting healthy hair. 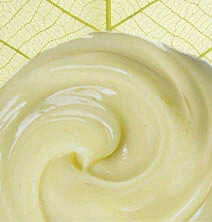 Avocado will invigorate and encourage healthy scalp care. Castor Seed Oil assists in preventing hair damage and thickens thin, weak hair. 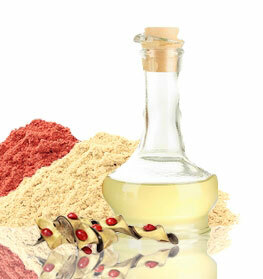 Panthenol Vitamin B5 is essential to good hair health due to the following: Provides hair with more luster and sheen. Makes hair grow thicker with less split ends. After shampooing, wet hair thoroughly. Massage the Hair Therapy conditioner into your hair. Dry and style hair normally. • Take advantage of this conditioner by leaving it on longer or by incorporating heat. The ingredients will have time to penetrate the scalp and make hair super soft entirely. Use a plastic cap under a hairdryer and sit for 10 to 15 minutes. • If you do not have a hair dryer, we suggest using a very warm towel instead. • You can use a small amount of the product in hair to double as a leave-in conditioner. When rinsing, leave a small amount of conditioner in. Great for dry or damaged hair. • If you have thin or oily hair, we suggest applying conditioner from the mid-shaft to ends. This will prevent your roots from looking flat or greasy. • You can pair this conditioner with our Hair Therapy Shampoo or Grow New Hair Shampoo. • Can be used daily. We suggest washing your hair once or twice a week so that those great natural oils don’t get washed away in the shower. Oils that are produced by the scalp are necessary for healthy hair and scalp maintenance. Aloe Barbadensis (Aloe Vera Hydrosol), Persea Americana (Avocado) Oil, Ricinus Communis (Castor Seed) Oil, Betula Alba (Birch) Oil, Hydrolyzed Jojoba Protein, Daucus Carota (Carrot Seed) Oil, Matricaria Chamomilla (Chamomile) Oil, Macadamia Integrifolia (Macadamia Nut) Oil, Salvia Sclarea (Clary Sage) Oil, Cocos Nucifera (Coconut) Oil, Vitis vinifera (Grape) Seed Oil, Citrus Sinensis (Orange) Peel Oil, Simmondsia Chinensis (Jojoba) Oil, Olea Europaea (Olive) Oil, Lavandula Angustifolia (Lavender) Oil, Cananga Odorata (Ylang Ylang) Oil, Citrus Paradisi (Grapefruit) Oil, Behentrimonium Methosulfate, Cetyl Alcohol, Cedrus Atlantica (Cedarwood) Bark Oil, Pogostemon Cablin (Patchouli) Oil, Santalum Album (Sandalwood) Oil, Achillea Millefolium (Yarrow) Oil, Glycerin, Glyceryl Caprylate, Guar hydroxypropyltrimonium, Citric Acid, Panthenol (Vitamin B5), Tocopherol (Vitamin E). Customer hair reviews and testimonials are provided for informational purposes only. Customer hair reviews and testimonials reflect the individual hair reviewer’s results and experiences only. Hair results may vary based on individual user. There's no guarantee of specific results and results can vary. My name is Marianne Gregory I was using Wen products until all of the bad things started to happen. My hair is baby fine and only grows to above my shoulders. Since I found and started using your shampoo and conditioner for hair fall my hair never looked and felt so good. I get compliments on my hair and it make me feel good. All my life I was teased about my hair and now I she'd happy tears. Just wondering if you make a styling creme or other styling products, againI say THANK YOU, THANK YOU, THANK YOU! !!!!! I’ve been slowing changing my daily consumption habits to less plastic and more organic items. After a force hysterectomy a few years back. Of course my body changed and my hair was becoming brittle and breaking. I was tired of cleaning out the drain after every shampoo. Well I came across this natural shampoo and conditioner, really not for hair fall but something with less or no chemicals. Well I have to say, after a week I noticed a difference and after a month this shampoo and conditioner has transformed my hair to beautiful and healthy locks. And the best part, I haven’t had to clean the drain ONCE from loose hair since I’ve started using these products! This is a WINNER!!! Amazing and healthy! I just used ur hair fall shampoo and conditioner and love love it. my hair has shine, my curls/wavy look awesome. it dried alot quicker after my shower. less time using blow dryer. ill try the vinegar rinse next time with it. if u have a review i could do for u guys i would love to. i also loved that while in the shower and water ran down my face in my eyes it didny sting like the using the other shampoos and conditioners i have. im switching to this forever. I love this conditioner. It has a very soft scent that does not irritate my sinus and it leaves my hair with so much volume. I recommend this to my entire family and I see that my husband wants to try this as well. I love your Hair Therapy Shampoo and Conditioner. I’m in my late 50’s and was saddened to see my once thick hair thin out. I was desperate to find a solution fast. I was speaking to one of my good friend as I noticed that her hair has always been thick and full of shine. I asked her what she was using and she told me about your products. She is a couple years older than me. I was concerned due to the hefty prices of your products that this would not work for me. I decide to by just the shampoo and conditioner just to try it. Once it arrived, I used it and felt that my scalp is cleaner and my hair has 10 times more volume than what it usually does. I’m extremely happy of these results and have started to see new hair come in. Thank you! My husband has had scalp issues for years- red, bumby, and itchy. This conditioner along with the matching shampoo has calmed down that irritation. His hair is very soft. His hair was definitely thinning and I think I've seen an improvement in the thickness. I have tried many conditioners and this one seems to be the best smelling, the most gentle, and best of all, the most natural! I bought this mainly for my roomie who is losing his hair...of course his hair is way shorter than mine is and much thinner. I did however try it due to the fact that I di have an area that seemingly... Was getting slightly thin up front. And much to my surprise it does put a nice shine, smoothness and texture to yout hair as well aa adding to the fullness and its growth. My roomie has noticed a tremendous difference and has asked that I order him some more. I believe this time I will be getting the seruim for my hair along with the shampoo & conditioner for him. This product seriously works. I use the shampoo with it and my hair is always left super clean and soft. I've had tons of new hair growing. Went from coloring my hair every 10+ weeks to barely making it 5-6. I was weary about buying such an expensive product but I've had the same bottle of shampoo and conditioner for 4 months now with me amd my 4yr old using it every day and I'm not even half way thru it. Ok...so I didn't expect to have any good results, I was only hoping. I've been trying so many things to help with my hairline that seems to be disappearing. I've been using this stuff for only 2 weeks and already see a small improvement! I'm so happy! I hope it keeps working and I can get my hairline back! My hair is thin, fine, and falls out like there's no tomorrow. I used this in combination with the shampoo for one month at least 3 times a week. My hair looks and feels much thicker. I wish I saved a picture of it, but I compared a strand of hair from before and after and my individual hairs got thicker and stronger. I still feel self conscious about my two thinning areas but not as much. This treatment can make your hair feel a tad coarse. It has a unique smell but it's the only product that worked for me. After experiencing the loss of hair with brush filled after morning brushings, I decided to try this product. After a couple of months the loss stopped. After several months I now have to periodically ask my barber to thin my hair. An excellent product.